Hello everybody...I need a little help from those who stayed at Callinka 3 app in Tsilivi. Does anyone have some pictures of it? I can't find it on net, I just found Callinika 2. Excellent, thanks Carole.... looking forward to trying the bars and appreciate the shortcut!!! Yammas!!!! There is a shop just down the hill from Callinka 3 on the corner a minute away and also a supermarket over the road from Callinka 2. The shops bars and restuarants on the main drag into Tsilivi are about 5 mins away just past the chippee and the horse & carts /taxis. The beach is a 10mins stroll from Callinka and we found a short cut - you cross the main road and come out near Friends bar - head down to the Caravel Hotel, go round the corner and your there.The Kaliva Bar is on the corner (I recommend this bar -its great) another bar I would recommend at the other end of town about 25mins walk away is the Paradise bar -this is the best bar in Greece and you can never leave -give a go and try the Yannis Special -there wicked! Have a great holiday at Callinka -as we did . Just returned from Callinika 3 on 26th August. Although basic but clean we could not fault the apartments with fantastic sea views from our balcony at the back and pleasent pool views at the front. Dont expect more than one change of towels or sheets all week but the full English at 5 eoros more than made up for it .The best value breakfast in Tsilivi by far -I don't know how they do it! Returned from Tsilivi 12th August used Libra appartments several times. We had a great holiday and appartments were what you expect in Greece clean but basic but at the end of the day you only sleep in them. We did discover that if you want clean towels you have to leave dirty ones on the floor not dry and folded up like we did! Pool was nice and not a rush on sunbeds could do with some mats to lie on. the family are lovely Thassos the son of one of the sisters is going to be an olympic swimmer or be in charge of 18-30 events when old enough!! The hill is not too bad if you cut through the bar we managed it and as our kids say we are old!!! Try the Drunk Moon Bar and then the hill is no problem!!! Yes, the Callinika Apts are out of town towards Planos, there is a small hill up to the apts but it is only very small (more of a driveway really). My sister is also going here on 19th August and we went to have a look where they were while we were in Tsilivi in June. You are only a short walk from the beginning of the towns restaurants and bars but as it's the other end of town, the Parardise Bar "you can never leave" (Oliver is such a clown!!) is about half an hrs walk - you could always jump on a horsey thing for 5 Euros, they'll get you home safe and sound! We have been to Tsilivi 5 times since June 2004 and it doesn't really matter where you stay, you're still guaranteed good entertainment! Have a great time in August - wish we were going back! Can anyone tell me where Callinika 3 are situated ? I beleive they are at the Planos end of Tsilivi. We have just booked last minute for a week on 19th August - 4 adults, but I am bit worried about the hill and the distance into the town centre and Paradise Bar/Cosmopolitan Apartments where we have stayed for the past 4 years. me and my husband had a great time it was very simple something were not use to here in england but we went for the sun and a good time and tsillvi is a great place good for kids to. nice food english mexicon indian chinese and greek, beach 10min walk and the shops restaurants and pubs 10min walk to have a good night, they do serve lovely english breakfast and try there best to meet our needs and if you think it is not good enough then pay more and go somewhere better but the only thing you do in your apartment is sleep shower and dress to go out so why complain enjoy when l came home and told my kids all about my holiday my sons Krishan , Amar, Rahul and daughter Lakiesha cant wait to go so l am booking another holiday there now that l now were to take my kidsand all the layout of the resort. We've just had a lovely holiday in Callinika 3 in Planos,Tsilivi. The rooms are Greek-therefore basic but clean & spacious enough. Our balcony(room 8) had a sea view-amazing to wake up to. Had some fantastic meals-best in the Fat Olive's restaurant only 2 mins down the road into town(on the corner by the Jupiter Hotel & the Jewellery shop)-delicious food, fresh veg, extensive menu, & excellent service. Also the Menih restaurant on one of the roads down to the beach-food delicious & varied, service excellent. Went on trips with Dionisos tours as advised in previous comments on this site-worth every cent! Went to Olympia for the day-absolutely awesome-the history just seeps through, advise going back into the sight after lunch rather than shopping in the town though. Also did the half day shipwreck beach boat trip-great guide Chris,very amusing! Lovely swims off the boat. 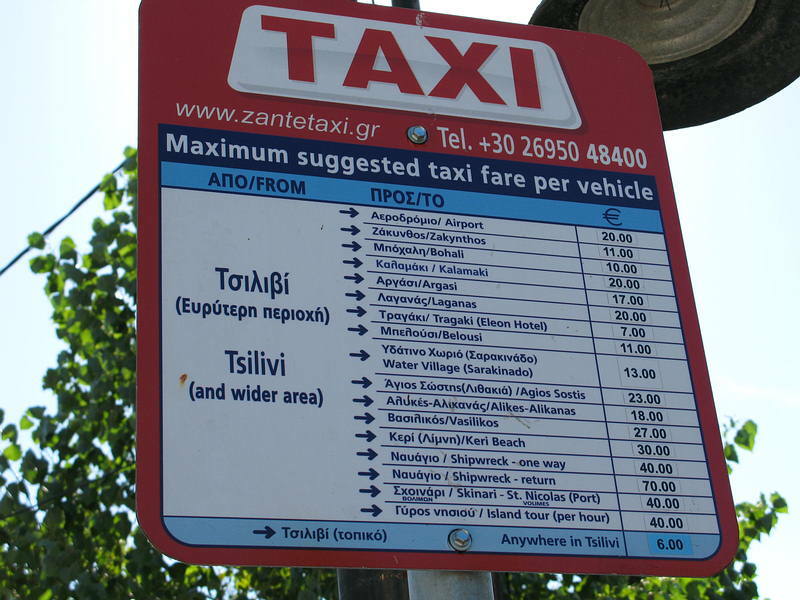 (Wouldn't bother with the shopping trip to Zante town though-enough time to shop & have a meal!) Worth walking along the beach to find great bars. Just arrived home from staying at the callinica 3 appartments. It was a lovely holiday. 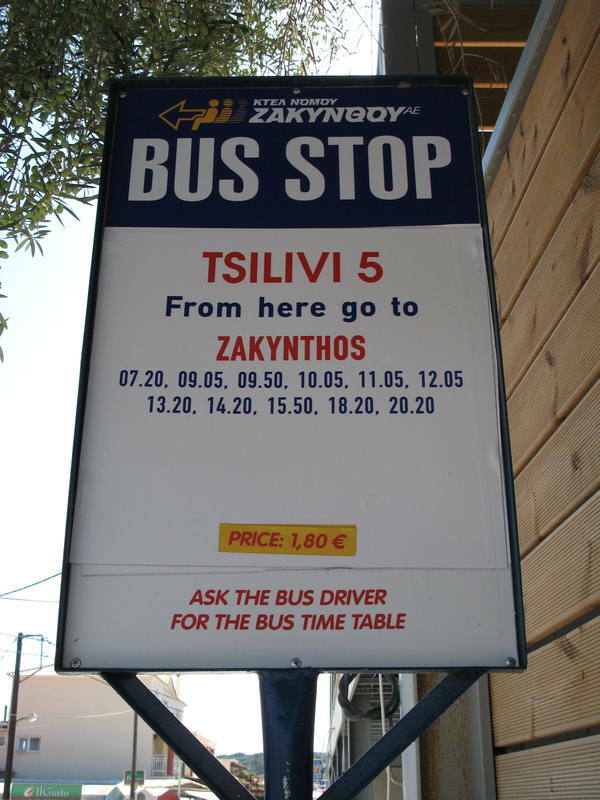 It is Greece, therefore expect basic accomodation. This was our third time to a Greek island, and the accomodation was the best we've stayed in! There is no air conditioning, which we could have done with, as at this time of year the temperatures were reaching the 40's during the day! We did hire a fan for 20 Euros for two weeks, that did help! The apartments were clean, nice balcony overlooking the sea. The pool was lovely, with a great little bar for drinks and snacks. The family running the place were very friendly, and would sort any problems out. The hill isn't as bad as some people have made it out to be. I suppose it depends on how fit you are, but we were fine. Loads to see and do around Tsilivi, and I recommend Dionysos Tours for any trips you want to do. We went Scuba diving down at St. Nicholas Beach which was fab, went on a Turtle trek, and went to Shipwreck beach before it got too busy. The Beach is fantastic if you don't want to stay by the pool all day. But Callinica 3 is great if you want a relaxing holiday, a little exercise to walk off all the gorgeous Greek food you eat, and a nice friendly atmosphere. Also check out Utopia bar on the main street in Tsilivi, and the Miami Snack bar on the beach - they're fab! Just back from a mum and daughter holiday, stayed in Callinika 111. We loved it and it suited us well. Room was a good size and kept clean. Got a fan for 10 euro this was ideal. Even had a small pot to boil water for a cup of tea. Shower was powerfull we were on first floor. Best of all was pool which was perfect. lovely and quiet clean and good for swimming. Had my own sunbed there was never achallenge and none of this having to put towels down at dawn to grab one. pool and pool side never busy perfect. Company was great to a real mix but no rowdies and we all made great friends. Family running it were friendly and helpful. would certainly go back. it was just far enough from village not to be noisy and who on earth moaned about the planes the were minimal. It's Greek - therefore it's basic! The cleaner was in everyday and did a good job, the shower on the third floor is non-existent (just a trickle most days) but it's all part of the holiday! This was the only Greek apartment I have seen that has a double bed in it!! The view was lovely and it's mostly peaceful. The planes are not too frequent and you do get used to them! People leaving feedback have moaned about the "steep" hill! It's nothing! A slight incline up to the apartments but you can nip through the bottom pool and then along and up the steps which makes it less of a climb. We'd got moved from Hillside Apartments in Argassi - look at those if you're worried about the incline!! The location is slightly out of Tsilivi centre but on a night it is a nice stroll which can be made into a pub crawl! For restaurants, Manos Grill is a must - fantastic food and atmosphere! One other thing, we did enjoy it very much once we changed to The Mediteranee hotel,and had no intention of sitting indoors complaining all day that is why we got out !!!!!! It may have been okay for you but obviously you were not in the same apartment that we were given, I was not complaining about the lack of cooking facilities just the lack of a simple kettle, also if you don't mind having to move everything out of the bathroom before you shower then that's okay.To start with we originally booked into the Calliniga 2 which was down the slope but we were mysteriously changed to Calliniga 3 (also found out we had paid a lot more for our holiday than the others that were staying there) on arrival after being told that only Danish people go into Calliniga 2 although all the signs outside Calliniga 2 advertising entertainment etc were in English!!! !,so obviously someone overbooked as when we got to the airport to go out to Zante our flight numbers had changed aswell, we should have been flying with Scandic airways and ended up with excel airways (no complaints about that at all). I did not book with Libra holidays and never would after having a bad experience with them before. I know the planes do not fly in and out during the night but I don't call 4.58 am exactly daytime. We tried to talk to the rep but she was just not interested so gave up and booked somewhere else. After speaking to several other reps, restaurant owners etc they also told us that Calliniga 3 and 4 get a lot of complaints, so it seems that we are not alone. Obviously it is what you are used too but we are not which is why we moved. Hi, Me and my partner have just arrived back today after staying in the Callinica 3 appartmants. I have just read some reacent comments left by other people on this website and I have to say they are a bit over the top with the complaints! Yes the complex is on a slope, but to be fair, it dose state access situation in the brochure, however, the views from the 1st and 2nd floor are very good with the beach only 10mins walk away. The rooms are vary basic with a walk in style shower (you dont really need the curtain! ), the food making facilities are basic also but we went out for food the whole holiday so I could'nt have give a stuff what was in the cupboards! We found that the nights were cool anyway and there would have been no need for air-con at this time of year. The planes are low but there are no night flights into or out of Zante due to the disruption in causes to the turtels when laying the eggs!. By the way, you will find that the whole of tsilivi is on the flight path of planes and to be honest it did'nt bother us at all. If you take the time to speak to the owners you will find that they are very helpful and nice people. You are situated close to loads of eating places and bars, you could be there 2 months and still not go into all of them. On the whole, if you dont mind living simple and you enjoy your holiday instead of sitting in doors all day picking fault with the accomodation you will enjoy yourself as much as we did. P.S. Take the time to speak to your rep because there is loads of trips and days out that you can book and the rep has loads of info on these. What a dump.Arrived back from tsillivi on Sunday, we were supposed to stay at Calliniga 2 but somehow it got changed to Caliniga 3.Stayed 1 night and booked ourselves into another hotel as we couldn't stay there any longer, all the rep was interested in was sitting at the bar drinking and smoking, the place was directly in the flight path to the airport and the planes were extremely low and they start coming in at 4.58 am, it's like sleeping on the runway. There is no air conditioning, the fridge was manky with no shelves, their is no kettle and nothing to boil water in, no shower curtain but there is rings where it should have been.It is on an extremely steep slope and then we had 3 flights of stairs to climb, were told we would be moved to a ground floor aprtment but that never happened.if you are booked in here change your booking before it is too late DON'T GO, IT IS AWFUL. Stayed at Callinca 4, very basic. Supposed to be self catering but the lack of cooking facilities, pots and pans etc made this impossible.Staff are friendly enough, but there seems to be a fued between the upper and lower bars. Prices are extremely high, seems that the bars owned by the English or have British themes are over charging massively. Try the hotel opposite the fish and chip shop, cheap drinks nice surroundings. Car Hire go to Euro Alpha, Aggelos and his wife Maria were fantastic when we were hit head on by a Greek driver. You pay for nothing as he has an all inclusive policy which means all inclusive, and he took all the hassle away and made us enjoy our holiday. All in all we got around the island, but Zante or Zakinthos is not typically Greek, a Blackpool with sun, all bars and noisy surroundings would not go or advise anyone to go there.Also we tried the overhyped Olive Tree and walked out, nothing fresh all frozen that reminds me of eating TV dinners at home. Does anyone know what the weather will be like in September, we will be arriving on the 18th, will it still be really hot.